The first step is to shop around between different facilities to find the best possible solution for individual needs. 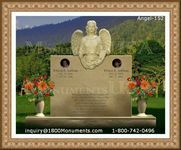 One may contact cemeteries and similar facilities online to view the different markers available and which of these offer the greatest value. Compare the prices and determine services included in a purchase such as the transportation of a particular monument. 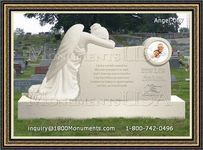 Determine the material that should be used in the creation of a memorial sign. Granite, bronze, marble, and concrete are among the choices available. Each substance offers its own set of benefits and limitations that should be examined before a purchase is made. All markers must prove weather resistant and able to withstand rain, wind, and harsh sunshine. One should not base a selection on cheap designs, but on the ranges that provide value and will not deteriorate in a short space of time. Manufacturers should advise on the types of warranties that are made available. When purchasing signs, look for value and quality in its construction to ensure that it does not have to be replaced in a short period of time. Assess the craftsmanship offered in the various designs and which of these will best suit your interests and preferences. Determine regulations placed by cemeteries and the costs involved.